December 7, 2014 / Rachel C.
I went through a couple of different ideas for today’s ‘Santa and/or elves’ prompt, but finally decided on one that frankly had the potential to be magnificent. Because what could beat out the most badass Santa ever, especially when he’s accompanied by his completely moronic elves? 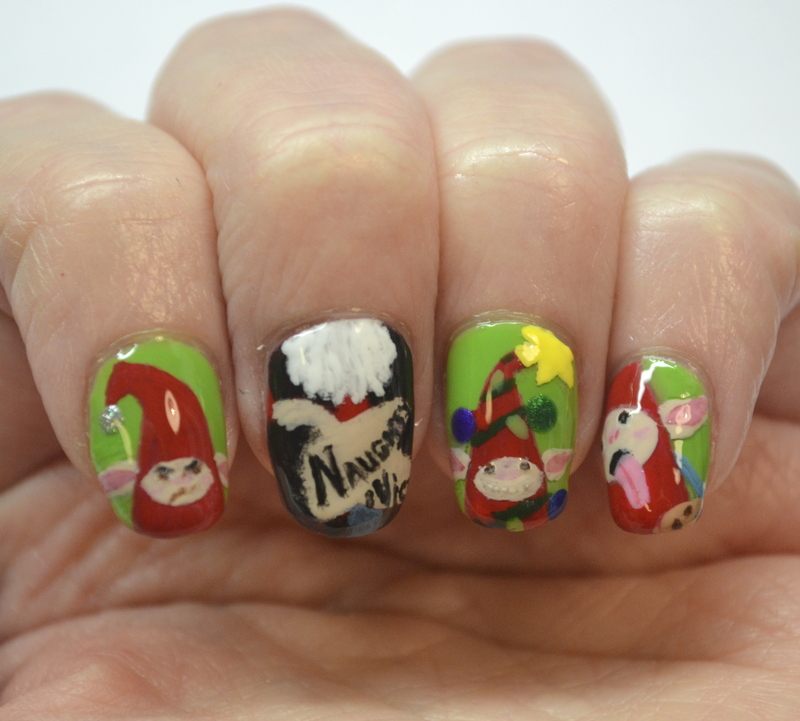 That’s right, I wanted to paint North and the elves from the Rise of the Guardians movie. So, North is pretty obvious, but the elves I did were also based on particular ones in the movie. 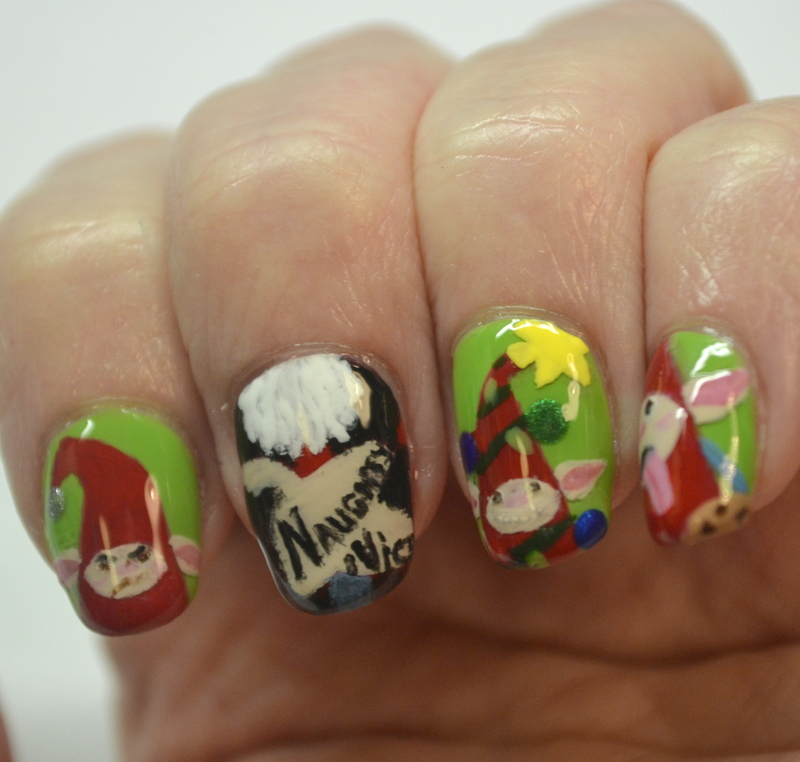 On the index is the grumpy little elf who kept having his trumpet performance interrupted, on the ring finger is the elf who got electrocuted when he was decorated like a Christmas tree, and on the pinky is one of the elves who likes to eat North’s cookies. My griping about the details aside, I do really like where I was going with this. If I ignore my perfectionist tendencies, I can even say I think it looks cute. The cookie-loving elf is my favorite. 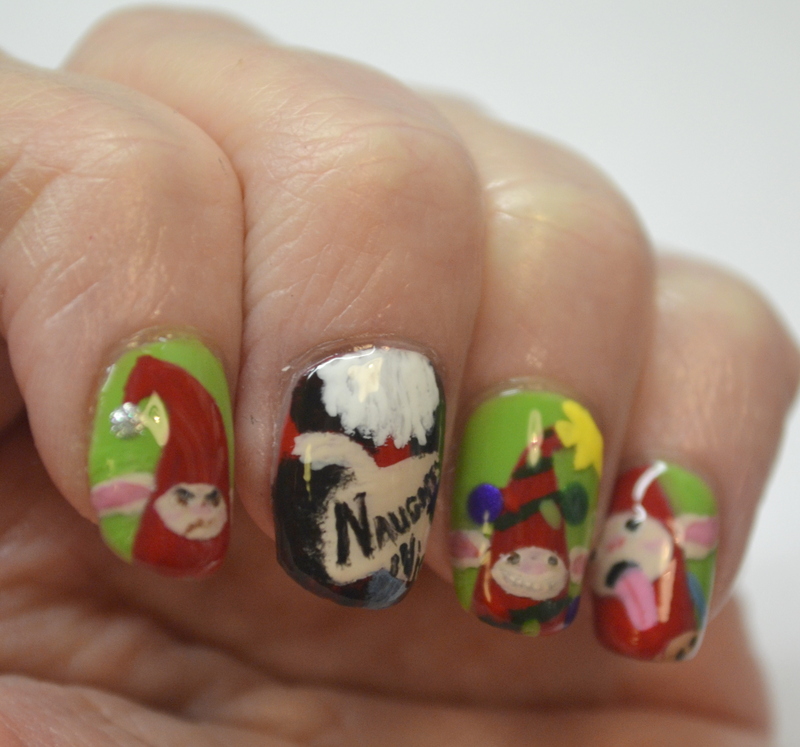 Of course, I’m going to let myself have another go at Rise of the Guardians nail art on the next prompt, time permitting. 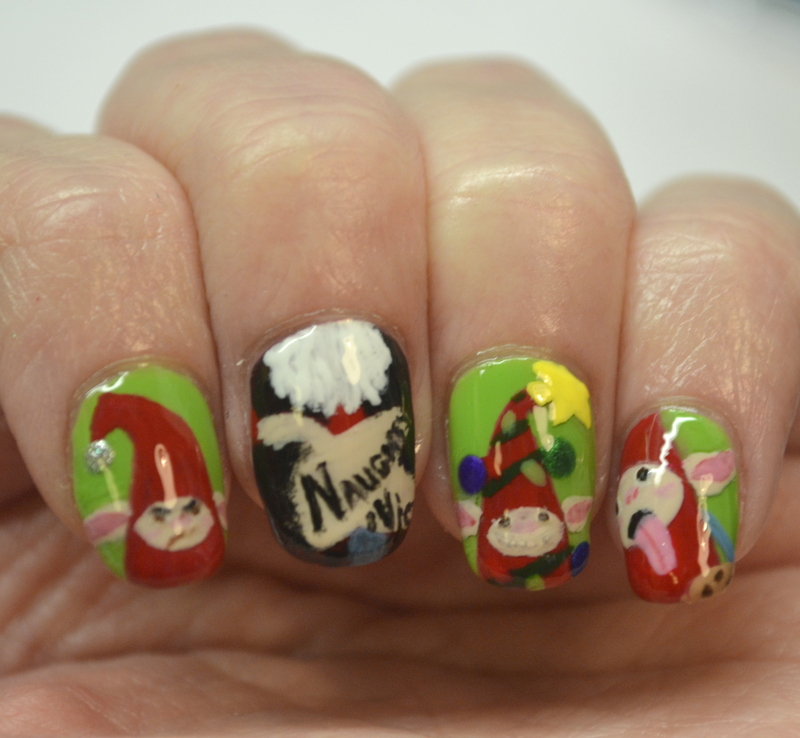 ← CYNA 12 Days of Christmas, Day 3-Snowmen! Ahhhh!!!! I can’t tell you how much I love these nails!!!!! Well done!! I haven’t seen the movie, but these look really well done! Thank you! If you ever get the chance, you should definitely watch it! It’s a cute movie. OMG! These are amazing! You did an awesome job! The cookie guy…stop…he’s hilarious. I love these. Wow, these are really great! Never seen the movie but these are just too precious!